Actress Sri Reddy has once again made sensational comments about natural star Nani. She said that he had brought drug for her, but she warned him and asked him to leave her house. Actress Sri Reddy has once again launched an attack on natural star Nani and said that he does everything and he had brought drug for her, but she warned him and asked him to leave her house. After being silent for a long time, Sri Reddy recently created headlines for her sensational comments on Koratala Siva and Abhiram Daggubati. Days later, the controversial actress attended a TV debate and made some controversial remarks on actor Nani. She said that the natural is a drunkard and a womanizer. 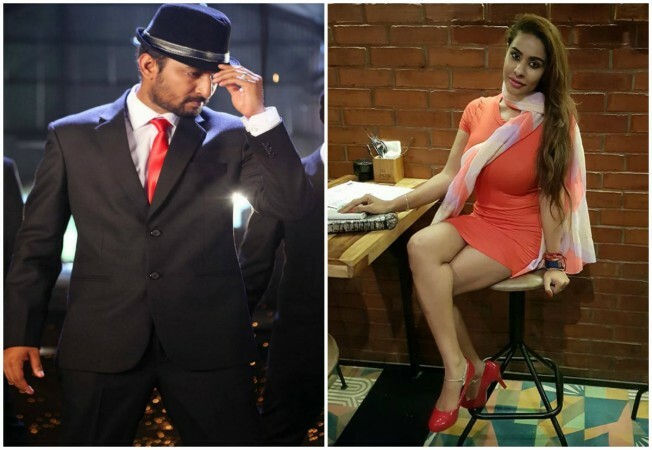 Sri Reddy said that she did not take legal action against Nani because her fight was against casting couch in the film industry and to revive her career, but it was not meant to harass the family of any celebrity. "I came in the contact of Nani when he was struggling to get the movies," a movie portal quoted her as saying on the TV debate. The actress added, "He does everything from smoking, drinking and drugs. One day, Nani also brought drug for me but i warned him and asked him to leave the house because it could ruin my career. During this period he made S*xual relationship with me. Nani said to me that he would cast me in his movies. I thought that it would help my career. He was not married that time." Nani's wife had condemned Sri Reddy for making baseless allegations for publicity. Anjana Yelavarthy had tweeted, "This industry has been kind but it troubles me to see that once in a while there comes along someone who puts their publicity ahead of other people's lives. No1 believes those ridiculous statements anyway. It is abt how little they think before degrading themselves to such levels had"
When asked about her comment, Sri Reddy said, "Why is she interfering unnecessarily in a matter which isn't related to her? When she is not aware of my relationship with Nani, why is she interfering? Will Nani reveal the truth to her? Will any guy accept it publicly? I got very angry when Anjana reacted but spared him because she is a woman."